Hula is almost synonomous with Hawaii. Hula is both romanticized as part of the tropical fantasy of Hawaii but is also a real and vital part of the culture. The stereotypical image of hula is pretty girls with long hair, swaying their grass-skirted hips and flouting coconut bras on a beautiful sandy beach. But a little fantasy isn’t bad if it entices people to learn about hula. Hula is more than just a classic symbol of Hawaii. 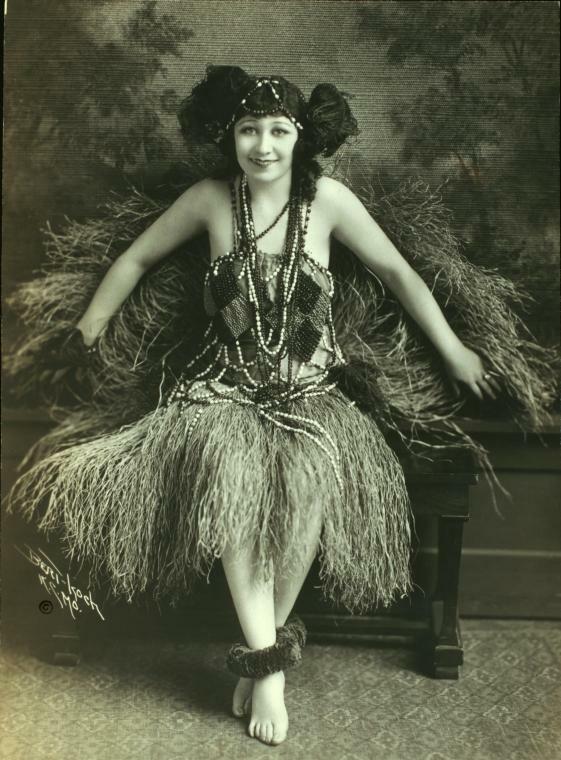 Vintage photo of hula dancer Momi Kalama from the NY Public Library digital archives. Misconception 1: Only women dance hula. Reality: Men dance hula too! 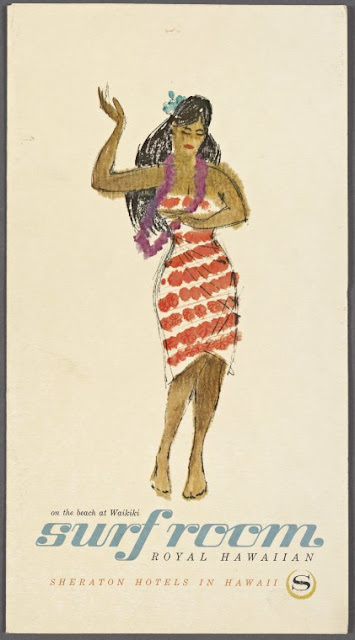 Vintage picture of a male Hawaiian hula dancer from the NY Public Library archives. Public domain image. Misconception 2: Hula involves grass skirts and plenty of bare skin. Reality: There are many kinds of hula outfits from long full length muu’muu, the full length body-covering dresses introduced by prim missionaries to pa'u skirts made of brightly colored Hawaiian prints. Vintage restaurant menu with a hula dancer on the cover. Royal Hawaiian Hotel, public domain image. Misconception 3: Hula is always romantic or happy and gentle, to melodic music. Reality: Hula has religious implications, spiritual meanings, romantic intentions. Hula can be danced to the sound of ancient chanting which is different from Gregorian chanting, and powerful in a different way. Hula dancers from the Wailea Marriott luau. Hula can be used to tell a story or give praise or honor someone or something. Everything depends on the music, style of dance, and every gesture or movement. Hawaiian words can also have multiple meanings. The “mist on the mountains” may also suggest something more than ahem, “the mist on the mountains.” There are slow hula dances and staccato hula dances. The hand gestures and body movements all have meaning. There is ancient hula and more modern hula. Ancient hula is kahiko hula, which often gives me “chicken skin” (a local phrase for goose bumps). 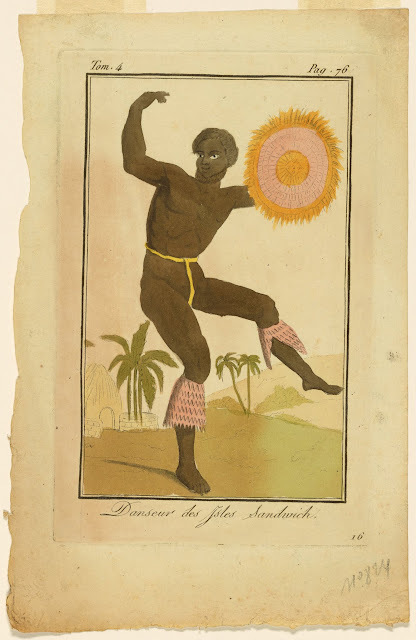 The video below is a halau presenting kahiko hula. It's about 4 minutes long. A halau (pronounced hah-low - rhymes with "how") is a group or troupe of hula dancers. Joining a halau is a serious commitment to Hawaiian culture. Often halaus will compete against other halaus internationally. The biggest hula festival in the world (as far as I know) is the Merrie Monarch Festival, which just finished on the Big Island. I am a hula flunkie. I had to learn some basic hula movements in grade school for May Day, the annual celebration of Hawaiian culture, and was terrible at it. But even to this day, I can still remember the rhythm of the river rocks and the sticks that we had to use. My skills do not lie in hula dancing, but I respect those who practice the culture. If you watch and study enough hula, you'll learn a lot about Hawaii. Hey, that was pretty cool. I read your post but watching the video really helped me to understand what it actually looks like. I didn't realize that men also did the hula. It looks like a fairly athletic activity, I don't think I would have the flexibility to pull off some of those moves. I think I'll stick to basketball and soccer. I tried belly dancing and was told it was similar to hula. My birthday is May Day - I didn't realize it was a celebration of Hawaiian culture, very cool! Bames, thanks for commenting. It's never too late to learn! There are schools which are happy to teach adults, and they are probably lessons on the internet! I forgot to include the note to include your link, and I will try to find your blog. Yes, your birthday's a big day in Hawaii! It can be pretty athletic, but there are slower dances too! Dancing has been a large part of my life... I took ballet as a child (though, not my choice) and became a ballroom dance teacher when I was twenty-one. I've taught on and off for over twenty years now. I have always enjoyed watching hula dancing, and the show at the Polynesian Cultural Center was exciting to me because of the different styles, mesmerizing music, and seeing all of those dancers truly enjoy what they were doing. Some of those male dancers are hunks, to say the least! ;) All kidding aside, it's wonderful to see men dance with as much abandon as women, and not feel conscientious or unmanly for doing so. Yes, the Polynesian Cultural Center puts on an amazing spectacle. The fire dancing always blew me away. Now I'm spoiled, since I've seen a lot of fire dancing, even on Maui at the beach.